Last month, Monday, August 7th, 2017 was National Lighthouse Day? 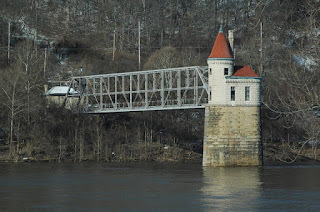 You wouldn’t think there would be much significance to Fort Thomas on that but, but there is actually an active lighthouse right here on the banks of the Ohio River. 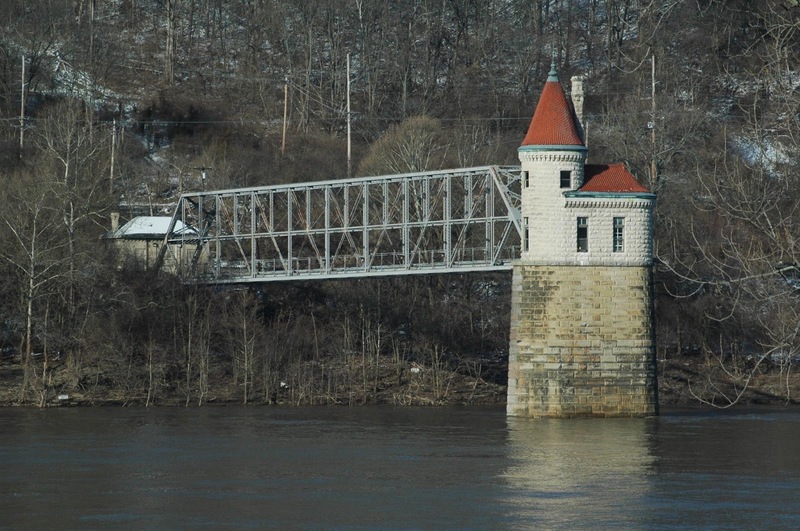 It's the Cincinnati Water Intake Pier, which is owned by Greater Cincinnati Water Works. Built in 1907, the structure is visible from RT-8 (Mary Ingles Highway). Now it's used as a pump house, pumping water through a tunnel under the river to a purification plant on the Ohio shore. Two red lights flash every six seconds, marking the bank of the Ohio River. "The complex consists of the pumping station on the Ohio side, an 85 foot deep shaft containing a huge steam pump, a tunnel beneath the river and the intake 'castle.'" By the way, these coal fired steam pumps were in use until the 1960s and they are still there. They are some of the largest steam pumps ever construction. It used to be possible to arrange for tours [to see the pumps] before 9-11 but no more. The intake was situated on the Kentucky side because the water works was built before the navigation locks and dams were put in. They had to have a nice deep spot where there was a good depth of water during all seasons and the channel ran along the Kentucky bank and that's where the deep water was. Normal pool stage at Cincinnati is 26 feet on the gage. The historic bridge that connects these bridges is standard yet unusual. It is standard in that its general function and design is just like that of a highway bridge, and features pinned connections and built-up members and chords featuring lattice, v-lacing and the like. However, it is unusual because the bracing layout is unusual. 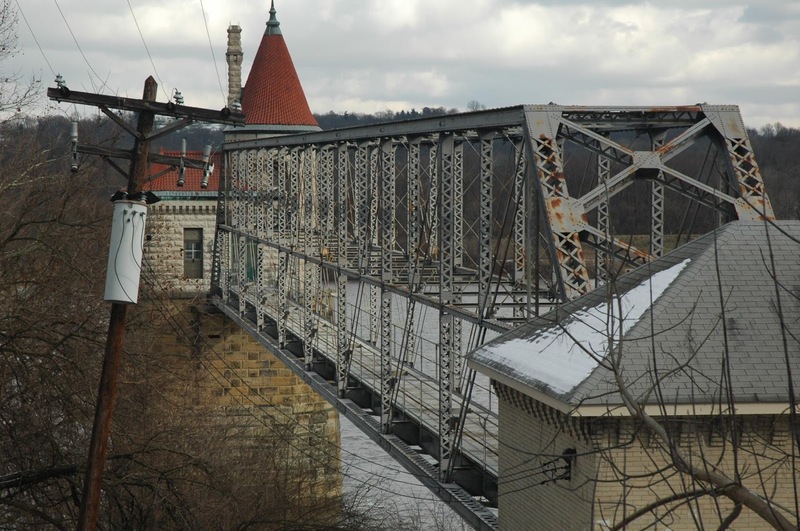 Sway bracing is present at the top of the bridge, but a substantial bracing also exists about halfway down the bridge, and also includes a member that runs along the truss web parallel to the top and bottom chords. The two sets of bracing are connected by very lightweight rods. Also, this bridge is a very large span for a trapezoidal truss with a Pratt configuration. Together the architecture of the truss bridge, coupled with the stone intake building, along with the impressive Ohio River and valley all make for a very scenic setting."